Your children are the most precious part of your life, so it’s understandable that you want them to be as safe as possible. Unfortunately, there is a wide range of potential hazards in your own home. In order to protect your children from harm and reduce the risk of falls, poisonings, burns, electrical shocks and other common causes of childhood injuries, it’s important to go through your entire home and do some childproofing. Keep the following checklist in mind, so you can make sure that your children live in a safe environment. 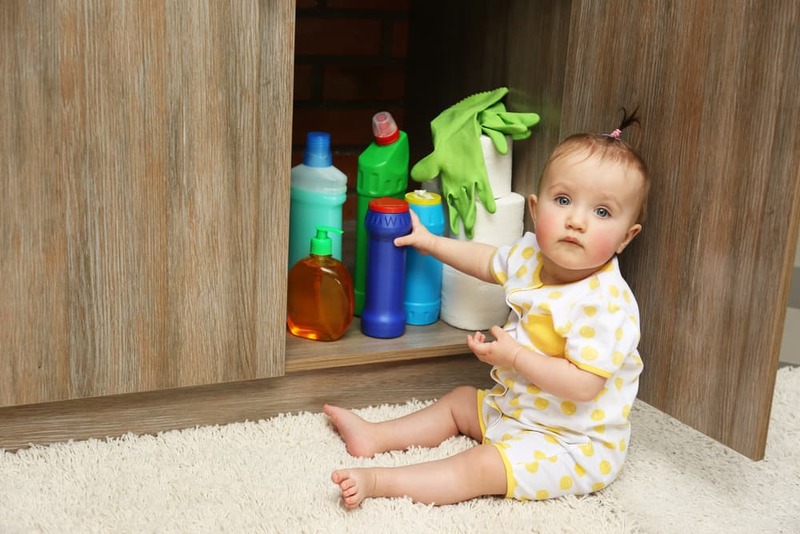 Keep cleaning products, medications, and other toxic or potentially dangerous items out of children’s reach, such as in a childproof cabinet. Don’t keep toxic plants inside your home where your children can get to them. Put corner guards on tables and other furniture items that have sharp edges on them. Attach bookcases and other heavy items that can fall over to the wall securely. This helps prevent them from tipping over onto your children. Mount flat-screen TVs to the wall rather than putting them in or on an entertainment center where they can easily fall over. Put locks on drawers where knives and other sharp objects are kept. Store other sharp items in storage bins and other containers that are kept out of your children’s reach at all times. Install a plastic stove guard to prevent children from being able to get to the burners. If you have a fireplace, make sure that there’s a screen or doors in front of it that are securely in place when you have a fire going. Use outlet covers or safety plugs in all outlets throughout your home. You can easily remove these in order to use outlets, but make sure that they’re back in place when you’re done. Better yet, install tamper-resistant outlets. Secure electrical cords out of children’s reach. In addition to the risk of an electric shock, these cords can be a strangulation hazard or a tripping hazard for children. Unplug small appliances that are not being used, such as hair dryers, and keep these out of your children’s reach. Block off stairs with safety gates, especially if your children are old enough to walk or pull themselves up. Use window stops and screens to prevent children from falling out of windows. Keep in mind that you should also keep long cords for blinds out of your children’s reach. If you need help childproofing your Phoenix home when it comes to electricity, contact Turn It On Electric. We can help ensure that your children are safe from electrical hazards.